UK Flowtechnik are supplying a humble magnetic coupling to a world-record breaking team – Angus Adventures to achieve the unthinkable – crossing the Atlantic in an autonomous solar-powered boat. The challenge is unprecedented, a task unachievable in 27 previous attempts. It seems like the impossible but for this team, who have rowed and cycled from Scotland to Syria, this is just another challenge to conquer. 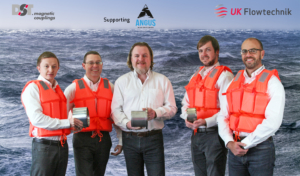 Angus Adventures were looking to circumnavigate the Atlantic crossing in a renewable and sustainable manner, having researched current energy-harvesting autonomous boats mostly developed by tech-startups and universities, they concluded that a solar-powered vessel would be the best way to harvest energy. The main advantage over traditional sail or wave-powered boats, is that the electricity can be stored in batteries for continued operation in low-light conditions, not only this but solar electric vessels have the advantage of more precise control and manoeuvring. The next challenge was to build the vessel, as Colin explains: “one of the great challenges was to come with a hull configuration that could support a large deck for an adequately-sized 1200 watt solar array, while still being seaworthy, developing a self-righting trimaran was the first step in our overall goal of creating the world’s fastest energy-harvesting offshore-capable autonomous boat”. The drive system needed to be very efficient and have much greater longevity than the 300 hours between required servicing’s. This is where UK Flowtechnik come in, they supplied a magnetic coupling as part of the drive system. The coupling conveys the torque from one motor through the hull to the drive shaft connecting the propeller. A magnetic coupling provides several advantages over a typical shaft seal including indefinite longevity, and almost no friction. Mr Angus reflects on the challenge ahead “our solar electric autonomous boat will be undertaking the most gruelling challenge that has ever been taken on by autonomous vessel; going non-stop around the world! One of the most vulnerable parts of the boat is where the propeller shaft emerges through the boat hull, and typical shaft sealing systems simply don’t cut it”. UK Flowtechnik were the preferred supplier with Mr A commenting “that’s why we turned to UK Flowtechnik to use their advanced magnetic coupling system. The benefit of a magnetic coupling over a typical shaft seal is much greater longevity, zero chance of leaking, and a huge reduction in overall friction. We’re excited to have UK Flowtechnik as part of the team, and look forward to completing the first circumnavigation of the planet autonomously”. 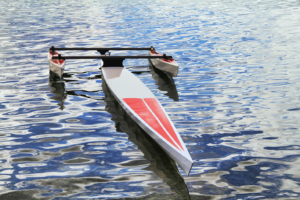 The solar vessel will voyage from California to Hawaii to try breaking the existing autonomous boat speed record (currently held Saildrone, which averaged just over 2.5 knots). The route from California to Hawaii is an ideal run for both solar and wind-powered boats. The sail boat will be launched from Newfoundland next summer. 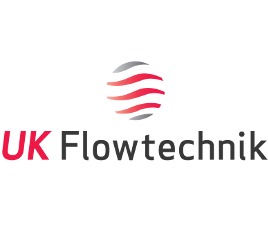 What differentiates the UK Flowtechnik and DST relationship is the ability to be flexible to what the customer wants and needs, with a vast range of material and magnets with the ability to prove both standard coupling designs or to engineer bespoke solutions. Offering complete logistic and support from enquiry through to supply and aftersales. UK Flowtechnik supply a wide range of DST magnetic couplings call our friendly team for impartial advice on magnetic coupling applications.